Despite increases in BRCA mutation testing, racial/ethnic disparities in counseling and testing have persisted for decades. The purpose of the review was to summarize recent literature as it relates to detecting, understanding, and reducing disparities in BRCA counseling and testing. This is a narrative review of articles published January 2012 to July 2017 relevant to genetic testing and counseling, breast and ovarian cancer, and minority health and heath disparities. Twenty-three articles were included in this review. Studies report lower counseling and/or testing rates for eligible racial/ethnic minorities among family members of high-risk individuals as well as among breast cancer survivors. Key barriers and facilitators of disparate BRCA counseling/testing that emerged in this review included awareness, cost-related factors, stress and distrust, family concerns and communication, and provider communication and referral. To address differential access to and use of BRCA testing services and expand testing in minority populations, it is necessary for interventions to focus on improving awareness, risk-perception, and family and patient-provider communication. 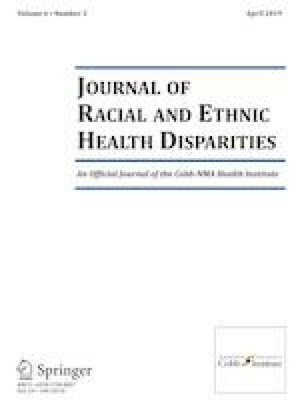 Multi-level and targeted interventions are needed to reduce persistent racial/ethnic disparities and improve assessment, provider recommendations, counseling and testing among minority populations. U.S. Preventive Services Task Force. Final recommendation statement: BRCA-related Cancer: risk assessment, Genetic Counseling, and Genetic Testing. December 2013. https://www.uspreventiveservicestaskforce.org/Page/Document/RecommendationStatementFinal/brca-related-cancer-risk-assessment-genetic-counseling-and-genetic-testing Accessed 24 May 2018. U.S. Preventive Services Task Force. Evidence summary: BRCA-Related Cancer: Risk Assessment, Genetic Counseling, and Genetic Testing August 2016. https://www.uspreventiveservicestaskforce.org/Page/SupportingDoc/brca-related-cancer-risk-assessment-genetic-counseling-and-genetic-testing/evidence-summary17 Accessed 14 Aug 2018.